I keep getting told I don’t punch straight with my back hand. I focus on it, think I’ve got it, but then get told by my coach that my elbow still comes out, if you know what I mean. Any tips? I’ve tried throwing it standing next to a wall, so my elbow doesn’t hit the wall. Maybe I just need to do that more and more and more and more. Read more… about How Do You Punch Straight with the Back Hand? 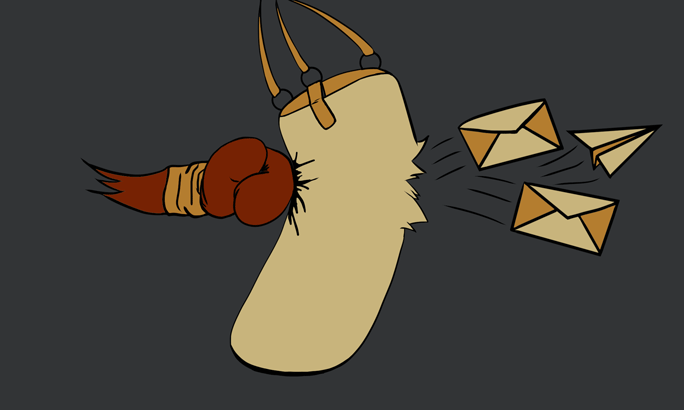 What sound do you make while punching? What difference does the exhalation sound make? 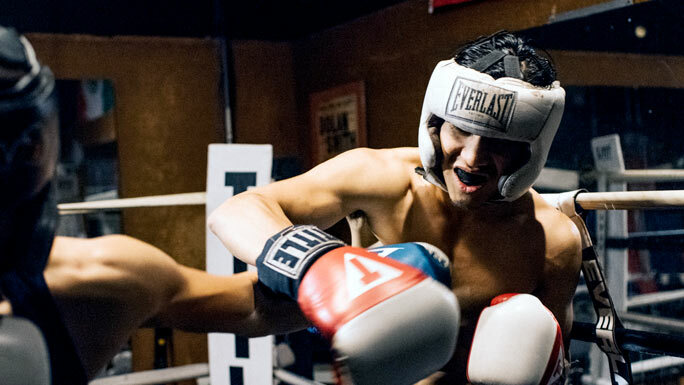 Learn how your breathing sound can affect your punching power, speed, and endurance…and of course: which sounds do the pros make? 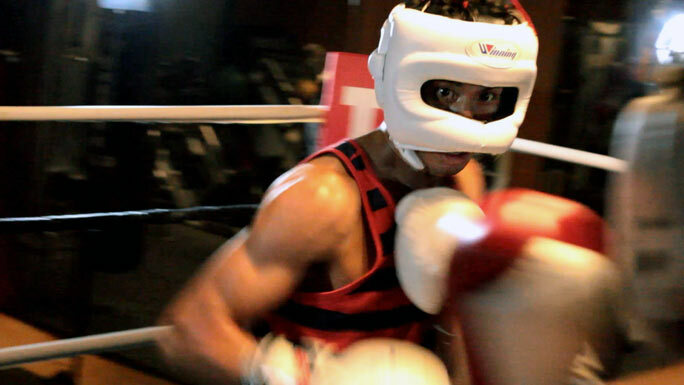 My favorite boxing tricks from the incredible Mexican junior middleweight champion! Saul “Canelo” Alvarez is one of the biggest and youngest champions in boxing. Only 27 years old and already the sport’s biggest PPV star. Today, I’ll break down the moves I’ve seen him do the most and release my own interpretation on how and when I think he does them. Canelo’s a stocky pressure fighter with lots of speed and power but fights very differently from how you would expect. He’s patient instead of trying to overpower opponents with his strength. Throws very few punches and likes to box from the outside despite his shorter arms. Although he’s got all the physical attributes, he’s very much a thinking fighter and prefers to take his time. On to the breakdowns, shall we? 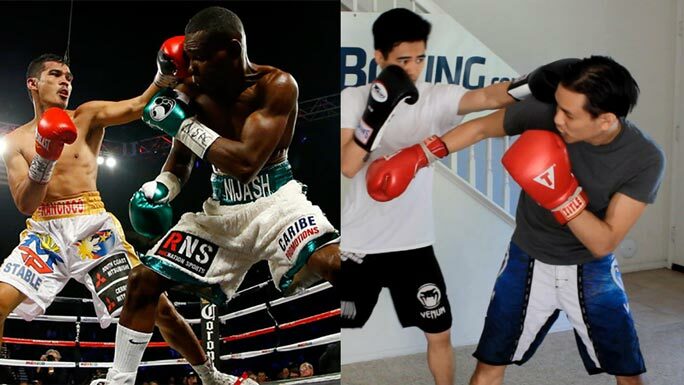 Read more… about Why Do Pro Boxers Train Light on the Heavy Bag? 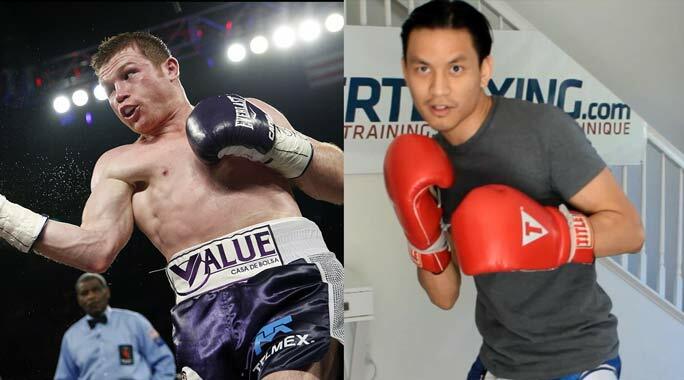 Read more… about Do Boxers Punch Harder than MMA Fighters? Dude Johnny it’s driving me nuts i need your opinion. When somebody is mitting for me or I see ppl working the mitts the holder moves the left hook that follows a 1,2, inward. This means its always a short hook from a static position. The mitter actually reaches out and closes the distance for a fighter standing still. First that only seems to make sense if the opponent slips in under the right and even then the striker has to usually shift. I cant think of reasons to drill a standing still long range 1,2, followed by a short hook. Read more… about Why do boxing coaches give short “compact” hooks on the mitts instead of full-range hooks? 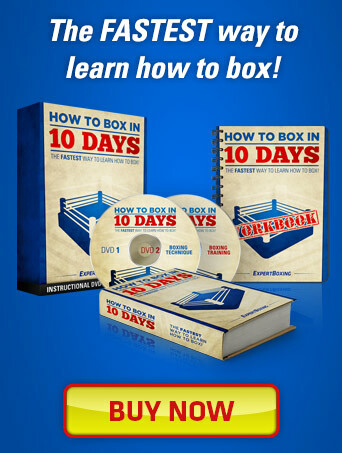 SOUTHPAW FIGHTERS—I’ve made an advanced counter-punching guide just for you! 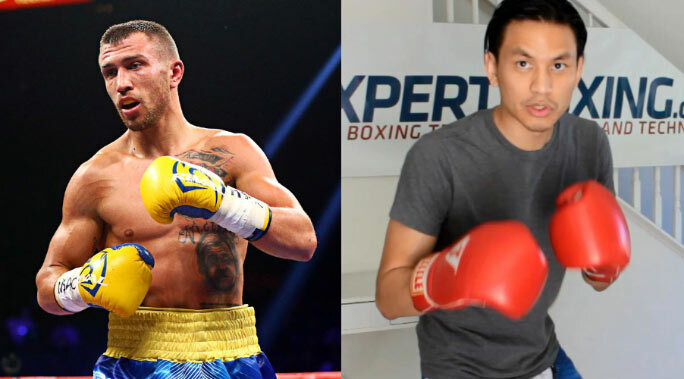 These southpaw counters require more skill to setup and execute than the basic southpaw combos and counters, but they also come with some huge payoffs. You’ll land harder punches with more impactful timing AND/OR get into better attacking positions. And for those of you wondering, the answer YES—these tactics do work for orthodox fighters facing southpaws as well…if you practice enough.